The political climate has been transformed since the Paris agreement and the fragile global unity that brought about that accord has shattered. Fijian Prime Minister Frank Bainimarama declared the UN conference open on Sunday and handed over the presidency of the talks to Michal Kurtyka, Poland's deputy environment minister. "We will all have to show creativity and flexibility,"​ Kurtyka said. The other members of the group of industrialized nations — including the biggest polluter, China — reaffirmed their commitment to implementing the Paris deal, taking into account their national circumstances and relative capabilities. Last June, 23 nations ranging from Canada to France to Britain to Pacific island states said they would try to limit their greenhouse gas emissions more than already planned under the Paris climate agreement by 2020. But a recent United Nations report warning CO2 emissions are rising for the first time in four years and named Canada as one of several countries that are as falling short on their commitment to the targets from the Paris accord. "When you look at our emissions, and we modelled this and we've reported this, that our emissions have gone down," Canadian Environment Minister Catherine McKenna told CBC's The Weekly on Sunday — adding, "It doesn't happen overnight." But Canada's target commitment requires more reductions. "It's not just about the federal government," McKenna said. "It really is critically important that provinces step up, and cities, because a lot of the emissions are 40 per cent within the cities' control. We need provinces to understand that it can't be free to pollute, that you'll have more pollution." The provinces of Ontario, Saskatchewan, Manitoba and New Brunswick don't have carbon pricing plans that meet federal standards and are opposed to Prime Minister Justin Trudeau's plan to impose a federal carbon tax next year. "Almost 50 per cent of the world has a price on pollution. China has a price on pollution, the European Union," McKenna said. "When you look at California, it's the fifth largest economy — it's got a price on pollution. Quebec is part of that market. British Columbia has been able to demonstrate that you can reduce emissions while you have a price on pollution and have a fast-growing clean sector. So we know what the solutions are." 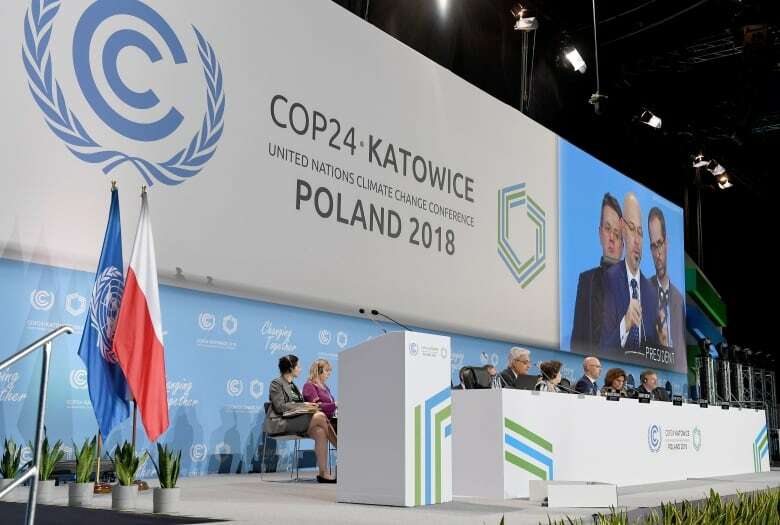 The Katowice talks precede an end-of-year deadline to produce a "rule book" to flesh out the broad details that were agreed in Paris, aimed at limiting the rise in global temperatures to between 1.5 and 2 degrees Celsius. 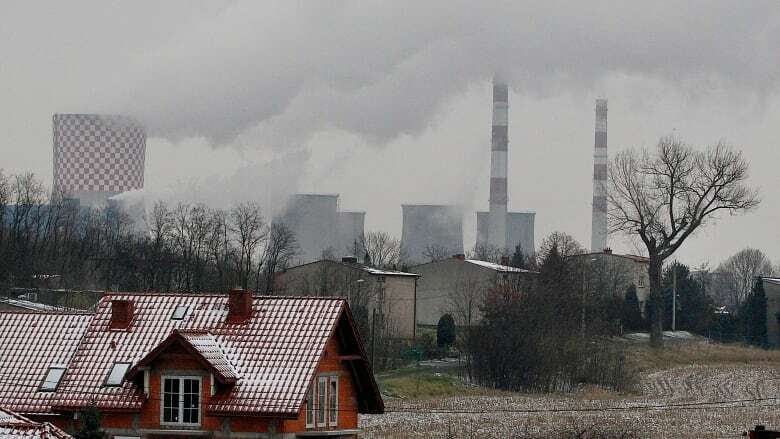 Poland is hosting UN climate negotiations for a third time, but the nation remains hooked on coal, the most carbon-intensive fossil fuel. Coal provides about 80 per cent of Poland's power and has been a major source of employment and national pride. The energy ministry said only last week that the country plans to invest in new coal capacity while its long-term energy strategy assumes it will still obtain about 60 per cent of its power from coal in 2030.